It’s Slabhead versus the Iron Lady in the battle to be immortalised on the new £50 note and so far ex-Sheffield United defender Harry Maguire is leading the race. The campaign to put an image of the England defender riding an inflatable unicorn on a redesign of the £50 has now overtaken the number of signatures on a rival petition nominating former Prime Minister Margaret Thatcher. Both petitions were launched after the Bank of England revealed the £20 and £50 notes would be redesigned and upgraded to polymer notes in 2020. At the time of writing, the petition started by Jonny Sharples has over 16,000 signatures while Mrs Thatcher’s, started by Guido Fawkes, has just over 11,000 on change.org. The red banknote will get a redesign despite fears it would be scrapped altogether. Maguire, nicknamed Slabhead by his Leicester City team-mate Jamie Vardy, became a hero for his performances at the World Cup in Russia as England reached the semi-final. 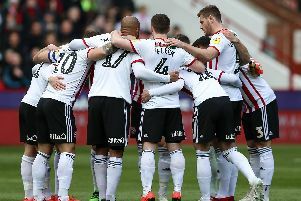 His Three Lions team-mate and fellow Sheffield United academy graduate Kyle Walker has also weighed in on the campaign, taking to Twitter to voice his support for Maguire. Manufacturer Matthew Boulton and engineer James Watt are currently on the note but are due to be replaced, with more serious suggestions including Princess Diana and Emmeline Pankhurst.